Well its been hot, hot, hot here and I’ve really not had much inclination to dig in the dirt. All I can motivate myself to do as far as gardening goes is to lounge around, enjoy the garden and appreciate the birds who took over the back garden this afternoon. At one stage there were so many flitting around that I had to put the camera down just to appreciate the very sight of all these different birds who now find some reason to visit my little space in the world. It was really quite something to have all these visitors in such a short space of time. Most of the birds today were regulars (Yay! I now have “regulars”!) but we also had new birds in the back garden. 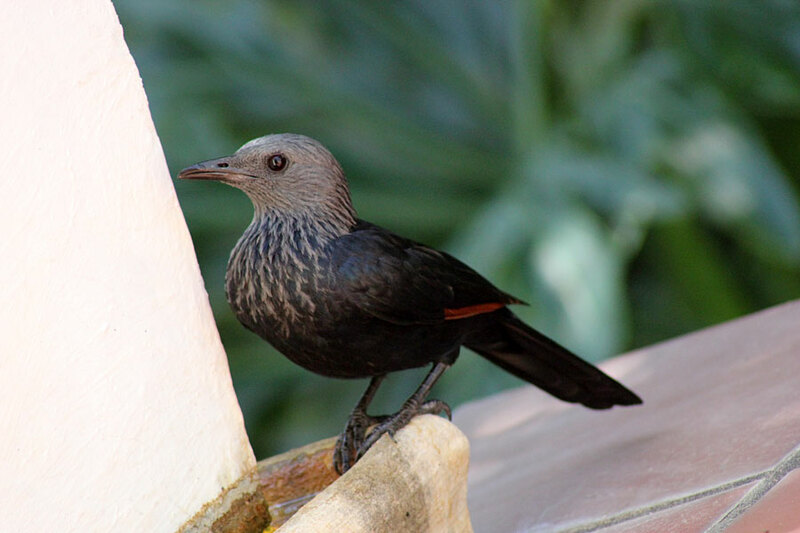 The Cape Bulbul was new to me and the Redwing Starlings are usually in the front garden, but today they joined us at the back. 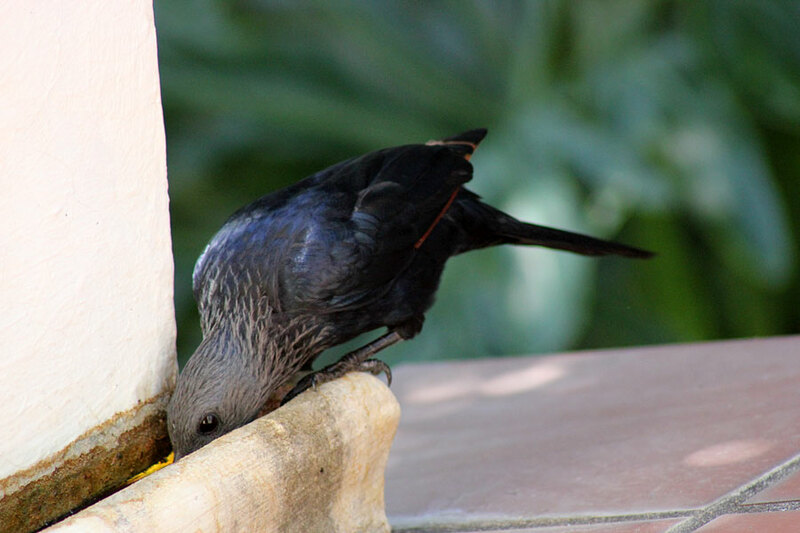 Every bit of “birdy equipment” was in use this afternoon and the birds showed me what else they’ve been drinking from …here the Redwing Starling is drinking from one of the pots on the Terrace. 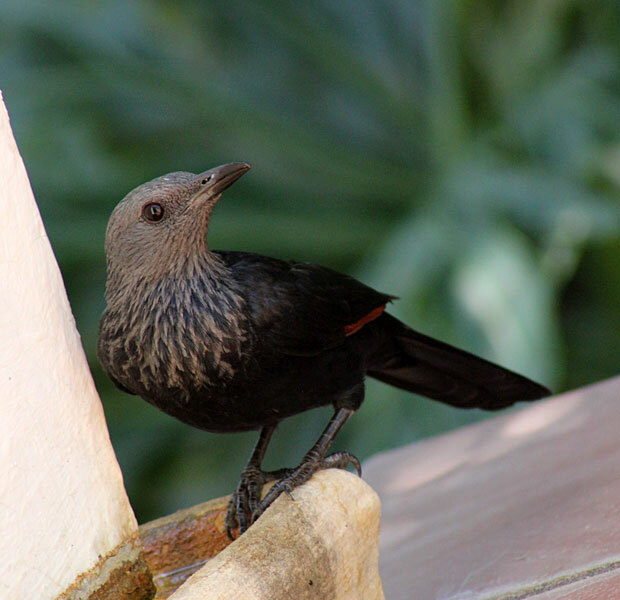 The Starlings are really not shy at all. 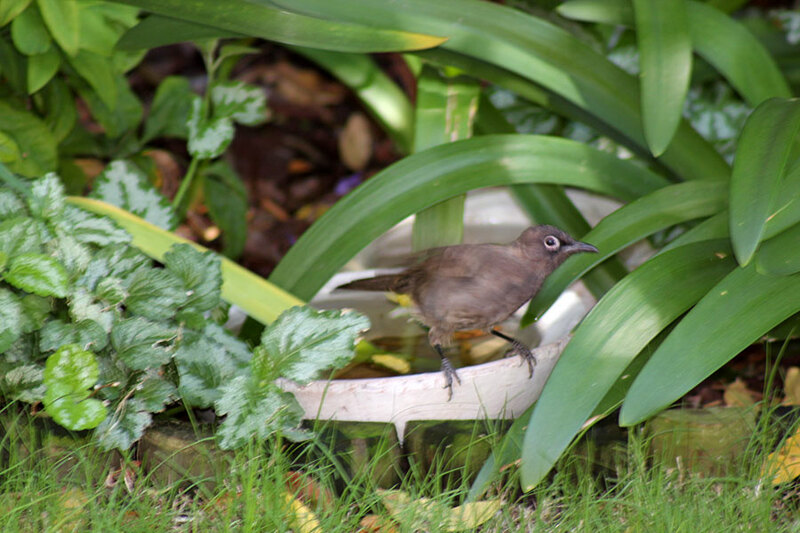 They’ve been making my garden their home ever since we’ve lived here but usually confine themselves to the front garden where they have plenty of water features and bird baths which is what they seem to want from me. Water! They also enjoy the Frangipani tree in the front. According to my notes, these with the grey heads are females. They came really close to me and seemed very unfussed by my presence. 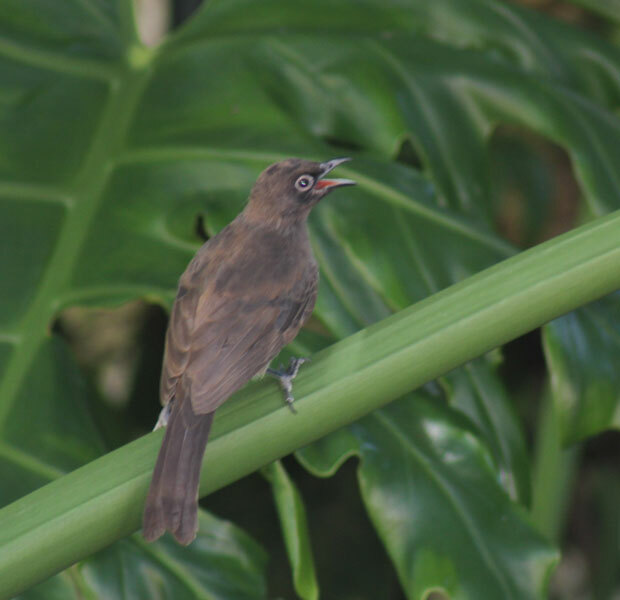 Then is the “new” kid in town, the Cape Bulbul (Pycnonotus capensis). 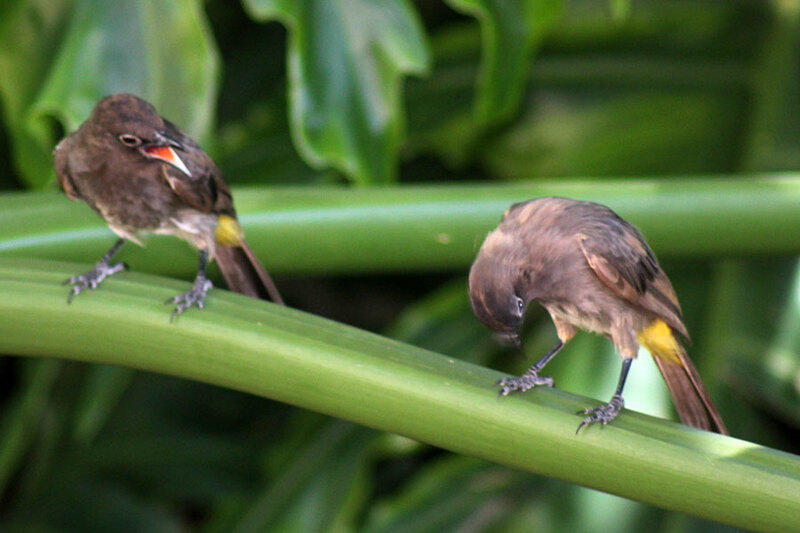 Cape Bulbul eat fruit, seeds, nectar and insects. 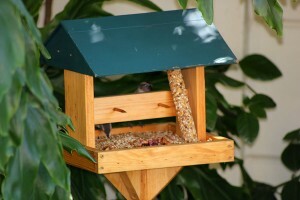 They’ve been making short work of the goodies on the new bird feeder. This next bird is new to my garden (I haven’t seen it here before). I’ve looked through my “bird” books and can’t find a match for this one. 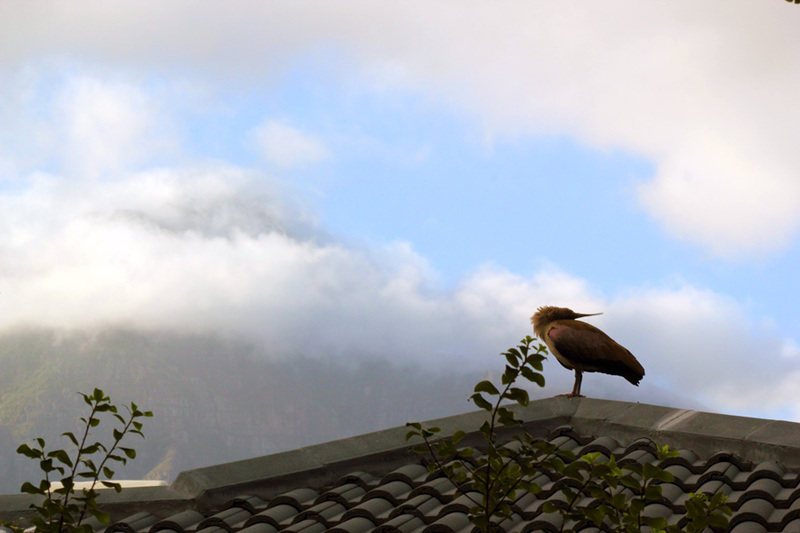 I thought it looked a lot like the Rooibeksysie which is now a very regular visitor, but … I really don’t know what this is. Does anybody recognise it? It has also been eating off the new bird table, but seems a bit shy. 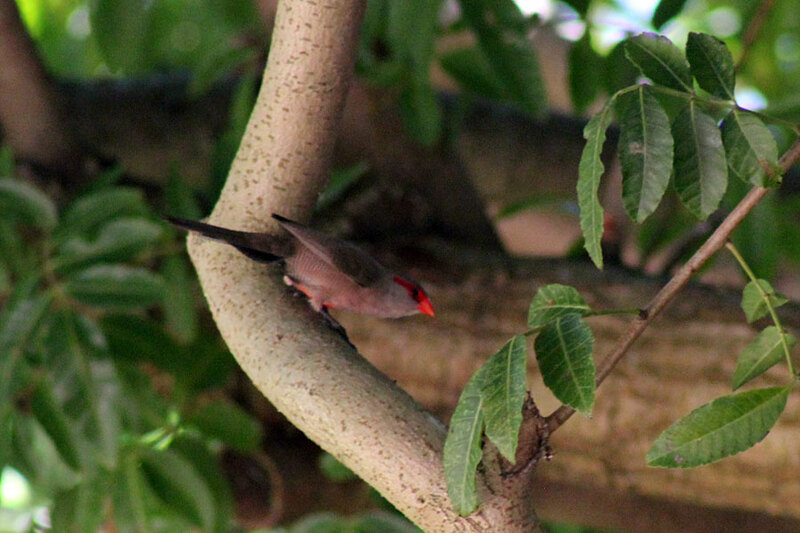 Here is the Rooibeksysie (aka Common Red Waxbill) again – they enjoy the hanging bird feeder and are regular everyday visitors now. They seem to prefer the apple pieces to all the other things we’ve tried. Apple and seeds. They are very cute, have become quite forward and are not shy to let the other birds know when they are around. And then the last bird of the day, the Hadeda – Just as the sun was starting to go down I looked out of my bedroom window and saw this female Hadeda perched on the neighbours roof, looking into my garden. 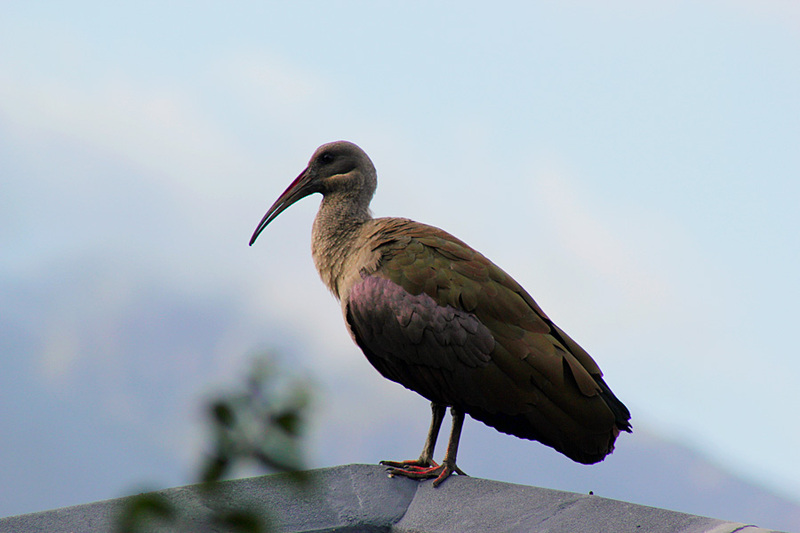 The light was not great so my photos are not good, but here she is – she gave us quite a show when I went outside to photograph her. Lots of preening and posturing. 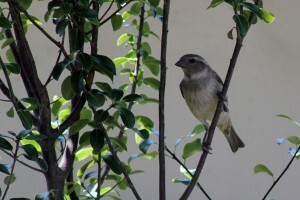 Here are a few other random shots of the birds using their old and new birdy things. I’m thrilled to see they are actually using everything I’ve put out for them and are eating all the fruit and seeds. 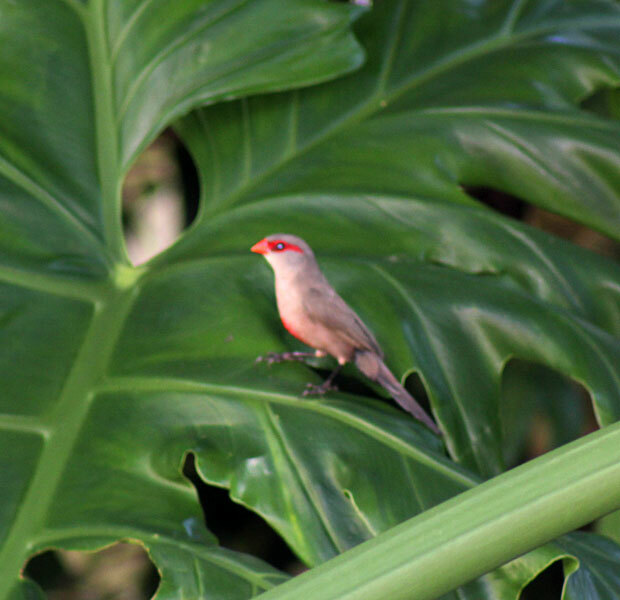 Having all these birds visit is a wonderful side-effect of gardening. Can you see them peeping from behind? 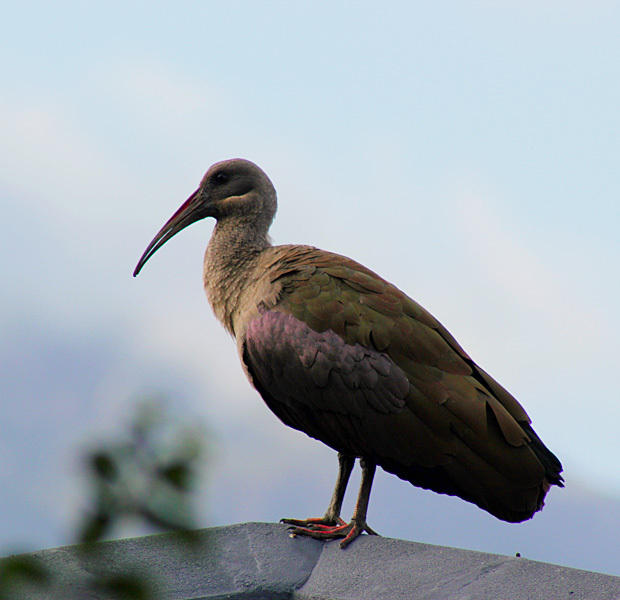 Great to see the different types of birds they have in other parts of the world. 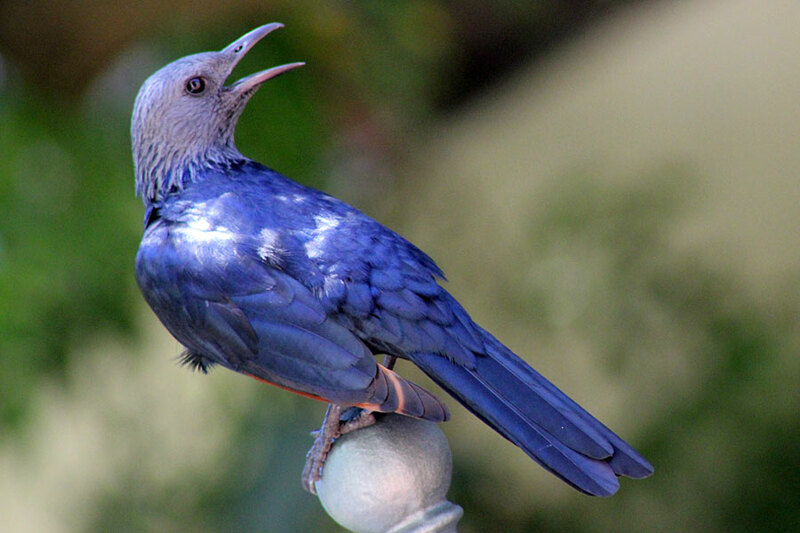 The Hadeda bird is so pretty! It looks like she’s wearing a necklace. 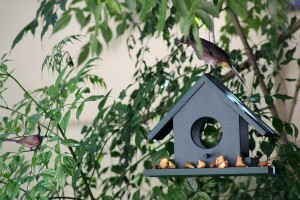 I’ve loved watching the birds here since I put up feeders. I really need more areas with water – I only have one little tray that collects water. That sure seems to bring them to your yard! 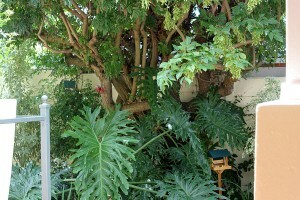 what a lovely post about the birds visiting your garden. Truly it is wonderful to see them coming everyday. 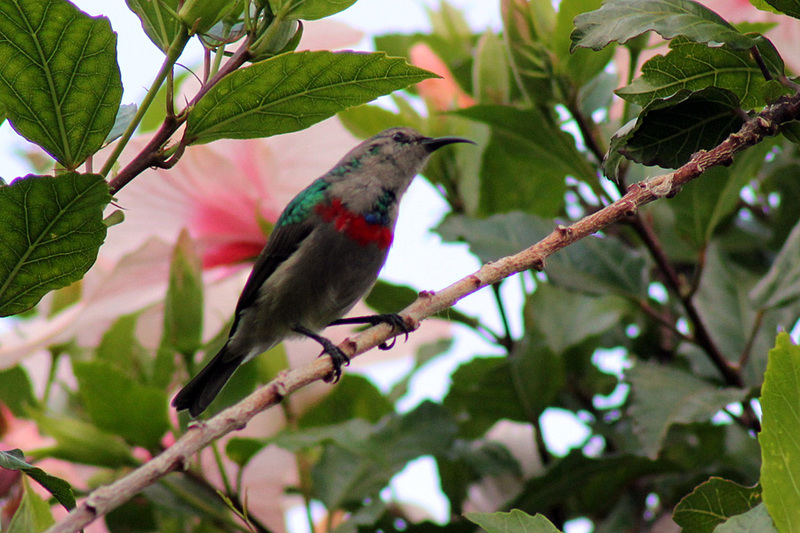 I really enjoy looking at the sunbird. There are rare now in my garden. Hi Christine! There is a theory about birds developed from dinosaurs. I start believing it after looking at some of your visitors! Great shots! Love your birds!! I think the unknown birdie is a Common Cape Sparrow – the male, I think. I would image that Diana will know! She is so good at this! 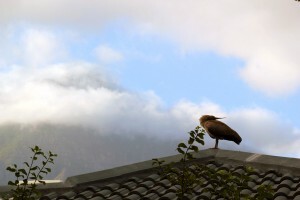 I love seeing the birds where you live. I enjoy waking up on a summer morning and hearing all the bird song. I am still working at matching bird song to the birds. What beautiful pictures! 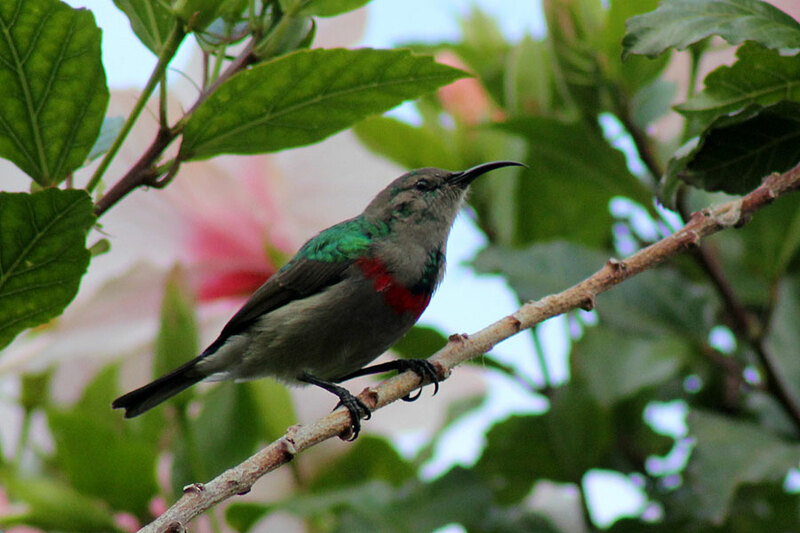 I love that you have regular visitors, and I think it’s great that you’ve watched the sunbird grow up. How sweet! No need to feel bad about not digging. Gardens are for relaxing too, no? The birds are wonderful — I don’t need to say anything about them. But how hot is “hot”? I check the temps for Cape Town and it doesn’t look that hot to me. Maybe the reported temps are closer to the water and therefore cooler? Just curious. 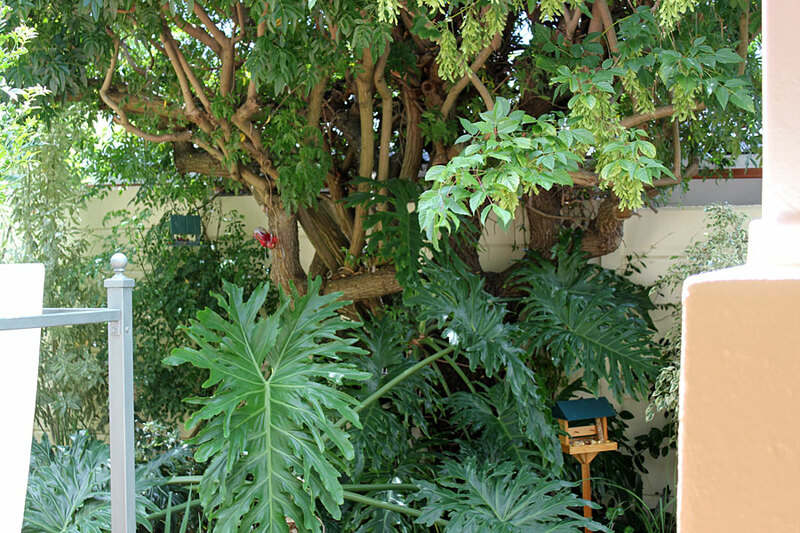 Hi Alan – 38 degrees centigrade here in my garden yesterday afternoon – Whatever the temperatures are here where I am, you can add 2 or 3 degrees to get the temperatures for where Barbie is (and Diana who is in Porterville, just a bit past Barbie’s). It was hot yesterday but not the hottest, and our summer has so far been quite mild other than a few very hot days. That’s quite a bit warmer than is being reported for Cape Town! I’m guessing their weather station is near the ocean, so is cooler? Where are you seeing this Alan? From what I’ve always understood, those readings are taken at cape town international airport which is not at the coast, so should be the same more or less as where I am. I’d be interested to see those numbers. Oh wow, thank you Donna!! Thats incredibly kind and we are very, very honoured! Oh my WORD!!! That is amazing!!! We are so truly thankful! 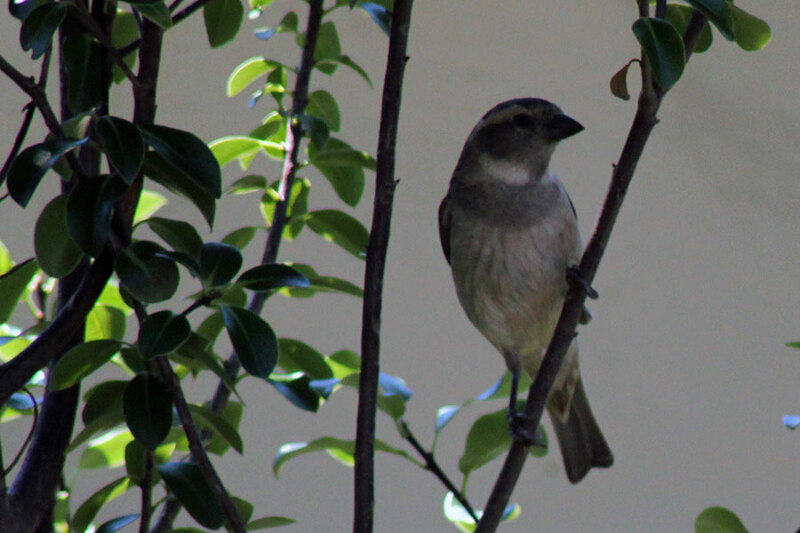 I think you have a female Cape Sparrow. 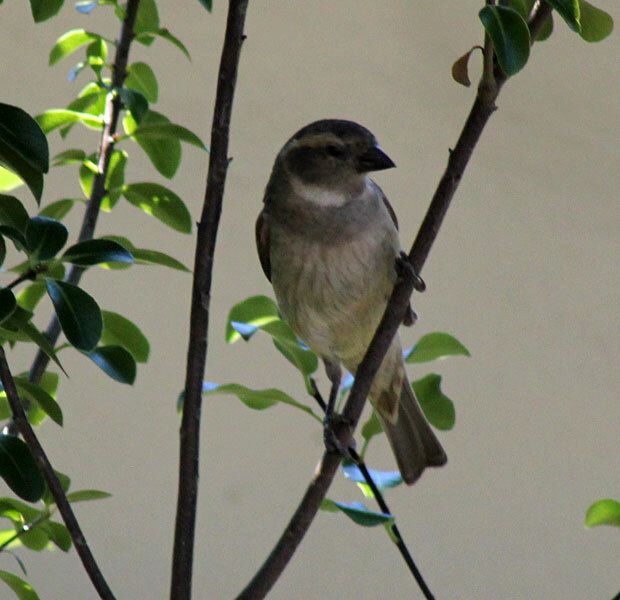 Check your book, there are House Sparrows and Cape Sparrows, male and female, makes 4 confusing birds, I have to look up every time! 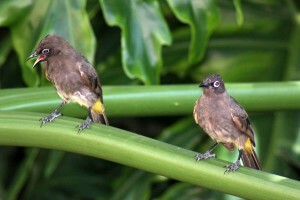 Beautiful birds! So colorful and so unusual. Loved the Cape Bulbul and the Red Waxbill, but that pic of the sunbird with that bloom of the hibiscus? is just stunning! Thanks Holley – Thats my favourite little bird. I love your bird show. It should be like a TV show and happen like clockwork. 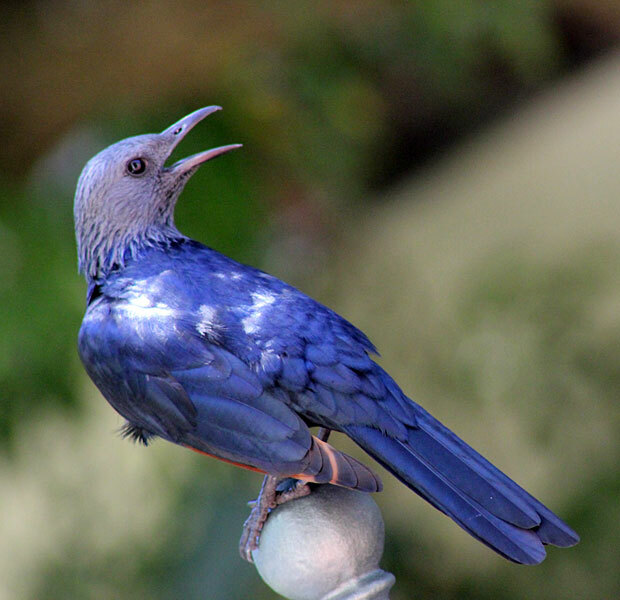 I always look forward to bloggers’ bird posts, especially when they show birds I have only seen in zoos. Donna, I realised today just why it is the “Sunday Bird Show”. 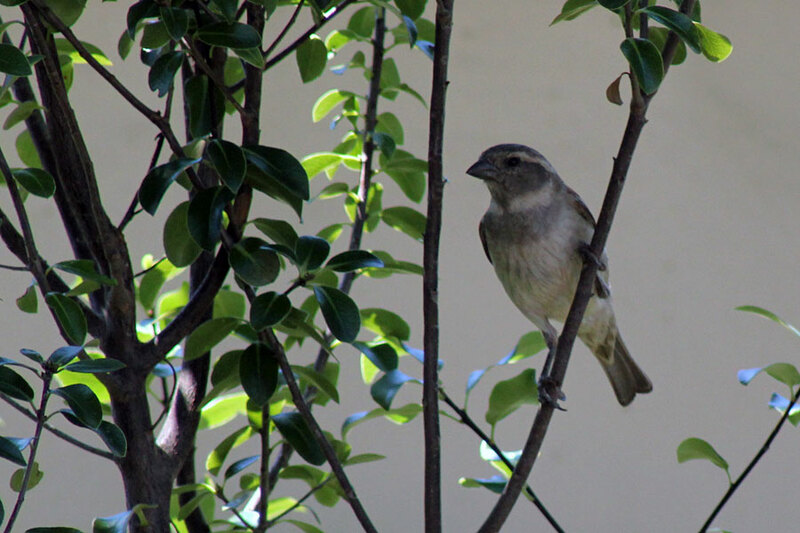 During the week its a lot noisier here in Suburbia – kids walking to and from school, occasional cars, workers, a bit of traffic … but on Sundays it’s quiet … you could hear a pin drop, so I guess the birds feel really safe about dropping in on all the gardens. Hence it’s the “Sunday Bird Show”. 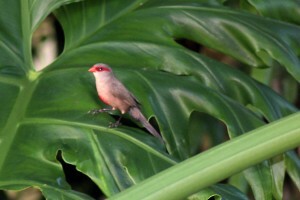 We had our annual Garden Birdwatch this weekend when people record the birds they see in one hour in their gardens. 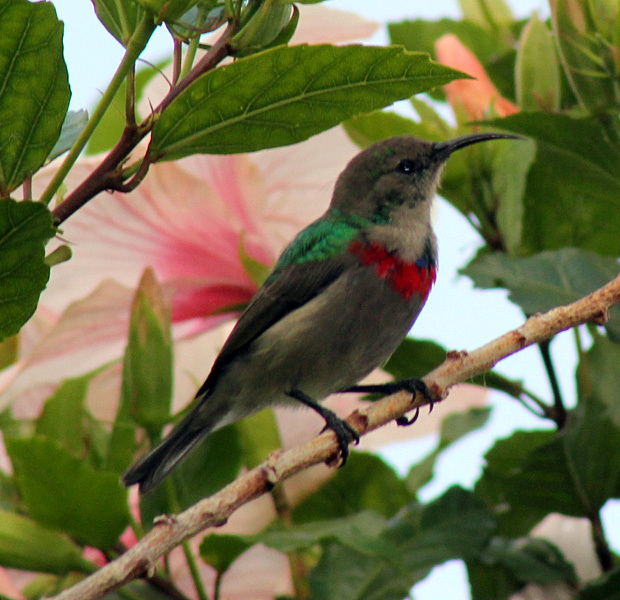 It would have been nice to have had your sunbirds. 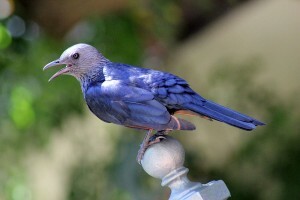 Even your starlings are more colourful than ours. Glad to see your birds are using all your feeders. Hi Crystal – I think your Goldfinches are darling!